This project which exemplifies our approach is a new Apartment building in the traditional context of Mayfair residential area of London and replaces an unsympathetic 1930’s block. 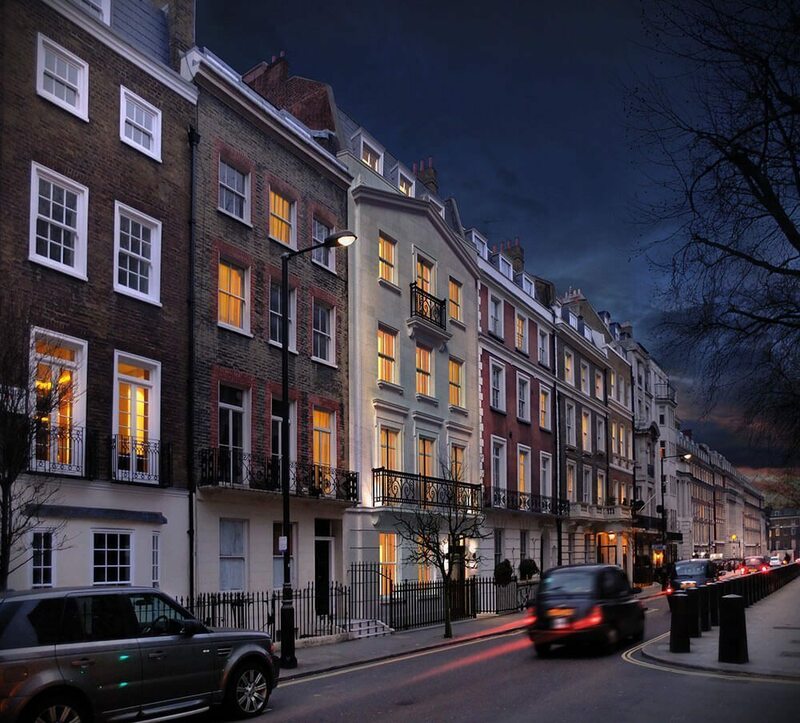 The contemporary Classical replacement building is one of the few and the first to be built in this area of Mayfair for decades and integrates harmoniously with the surroundings. With a pediment and stone façade, a Piano Nobile and Classical detailing the building possesses a unique identity, momentarily breaking the horizontal rhythm of the otherwise repetitive terrace.